We know we can’t stop the clock when it comes to ageing, but a wave of research, clever tweaks and new elixirs can slow things down. On the other hand, we could be committing some cardinal skin sins that are accelerating the rate at which we age. Will we look 30 when we are 50 or will we look older than our peers? Here are some 5 red flags we should be watching out for. If any of them apply to you, it’s time to take action NOW! This is only a myth perpetuated by women who have not found the right UV protector for their skin, or by women too lazy to apply any before they step out into the light. Cumulative sun exposure is the number one cause of extrinsic ageing. Even if you are not basking by the beach, ambient light through your windscreen, office windows (to name a few) can wreck havoc on your skin. In the short term, it worsens pigmentation, in the long term, it causes solar elastosis— the reason why your skin resembles a leather handbag. According to Dr Low Chai Ling, founder of SW1 Clinic “There are many excellent products out there providing good SPF.” If a reliable total blocker is what you need, she recommends Umbrella, which she prescribes to all her post-laser patients. If clogging pores is what are are afraid of, she recommends BB creme anti-acne, a pimple fighting UV protector that does double duty at the same time. Everyone knows that when it comes to genes, you get what you’re given. Right? Perhaps not. “The genetic make-up of a person doesn’t determine how a person’s skin will age,” says Dr Low. 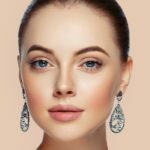 In fact, in a recent study in partnership with Harvard Medical School, it was found that although a small proportion of the population forms a group of genetically ‘exceptional agers’, our skincare habits, such as our exposure to the sun and how well we hydrate, have a much greater impact on the way our skin ages. In short: no matter your DNA, great skin is achievable. “This [study] demonstrates that nurture is more important than nature, and that people can throw away their genetic advantages with poor lifestyle choices,” says Dr Low. Case in point, while some people have left aging to take its natural course, others have embraced latest DNA repair treatments to boost their genetic lottery in the aging stakes. Youth Savant, one of the latest DNA repair skin boosters, uses PDRN (polydexoyribonucleotide) to recharge the skin, and rejuvenate ageing DNA so that the skin behaves in a more youthful manner. 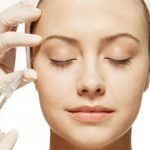 From improved healing to a more supple appearance, patients who have undergone it find that their complexions look visibly healthier and brighter after. It’s true that topicals can only deliver so much benefits, after all, they only penetrate into the superficial layers of the skin. But small benefits do accumulate to huge differences over time. Moreover, latest active ingredients are shown to effect substantial enhancements on complexions that impact your skin’s future. 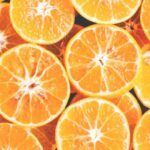 Studies on topical vitamin c have shown improvements in pigmentation and skin tone after a few months of use. Hydration, we know is key to restoring a good skin barrier which protects your skin against pollution, bacteria, viruses and other environmental insults. Of all the anti-aging skincare out there, ingredients such as vitamin A, resveratrol and glutathione have shown real promise in slowing down the ageing process by reducing oxidative stress on the skin. An antioxidant a day does keep wrinkles away, in the long run at least. An easy mistake to make. In fact, most of us commit the same error time and time again. But it’s time to rethink the way we treat these vital area. The eye and neck skin has less sebaceous (oil) glands than the rest of the face, so it’s more prone to dryness. 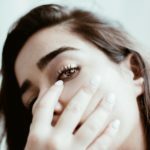 The eye area is also an area of frequent ‘abuse— from rubbing of the eyes, to tugging of the lashes when you remove your mascara, it’s no wonder signs of ageing appear around the eyes before the rest of the face. Instead of thinking of eye cream and neck creams as a ‘luxury’, it’s time to move it to the ‘necessity’ category. You can opt for a lighter eye gel that protects the area from oxidative stress in the morning before moving to a more hydrating version at night to encourage maximum collagen growth. For the neck, Dr Low recommends using something that has a more long lasting hydration effect for maximal benefits. Of course, retinol in this area is an added bonus in preventing neck lines in the long run. Sugar suppresses the activity of our white blood cells, making us more susceptible to infectious disease—like a cold or the flu—as well as cancer. The same dysfunction of the white blood cells can also make allergies worse. All in all, excess processed sugar in your diet, even in small amounts can cause dark circles, wrinkles, dehydrate skin and can fast track the aging process. If you think you can opt for a sugar substitute, we have more bad news for you. Whether it’s sugar or another form of sweetener, it can all contribute to the health of your skin. When our blood sugar and insulin levels rise—whether it’s caused by a poor diet filled with sugary, starchy foods, or by stress—we experience a serious increase in inflammatory chemicals at a cellular level. This increase can cause inflammatory diseases such as acne to worsen dramatically. What it all boils down to is this—if you’re concerned about your health and not accelerating the aging process, it’s best to avoid all forms of refined sugar and chemical artificial sweeteners. Instead, your only source of sugar should be fresh fruits and vegetables; these are high in anti-inflammatory antioxidants and contain nutrients that help promote beautiful skin and a healthy body. While nixing sugar from your diet isn’t exactly an easy change to make, it’s one that can result in serious benefits for both you and your skin.